A breakdown of the measures, school board positions and City County seats in this upcoming election. South Bay, do you know who’s running for office? What about your state and local measures? Your vote could effect your drinking water, your child’s education, your taxpayer dollars, your roads and more. But here’s the problem: the number of state propositions & local measures is enormous this year. Just check out Doug Porter’s breakdown of the California State Propositions from his Starting Line. Then there are 35 measures related to San Diego County Doug has covered. Some of us have full time jobs, kids, elderly parents, spouses, household responsibilities and much more. How do we get a handle on this year’s ballot? This week, my column is devoted to our South Bay measures and candidates. 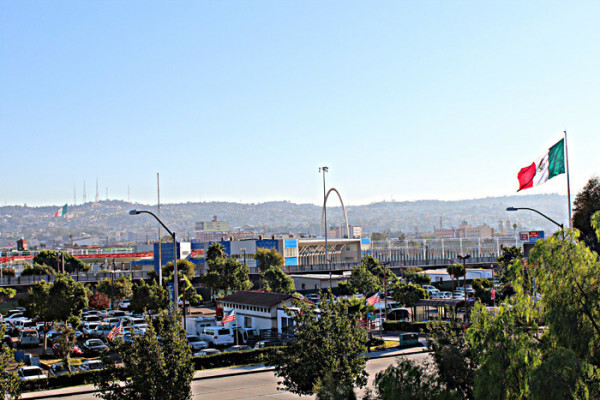 South San Diego (which includes San Ysidro, Otay Mesa East & West, Nestor and Palm City) — are part of the City of San Diego. That means, you’ll be voting on 12 measures, including whether the city should build a downtown Charger’s stadium (Measure C) and whether the city should legalize marijuana (Measure N). You’ll want to pay close attention to Measure CC which asks voters whether members of the Sweetwater Union High School District Board of Trustees should be limited to two (2) terms of office. Measure P: To repair neighborhood streets and sidewalks, replace storm drains to prevent sinkholes, update police, paramedic and 9-1-1 equipment and facilities, improve parks, repair recreation facilities, and for general city services and infrastructure, shall the City of Chula Vista adopt an ordinance enacting a temporary 1⁄2 cent sales tax, generating an estimated $16 million per year, expiring in 10 years, with no further increases without voter approval, with all funds staying in Chula Vista, requiring citizen oversight and independent audits? Measure Z: Southwestern Community College affordable education, job training/veteran support measure. To repair/ upgrade local community college campuses, prepare students/ veterans for jobs/ university transfer, repair deteriorating roofs, electrical wiring, gas, water/ sewer lines, remove asbestos/ lead paint, improve energy efficiency/ campus safety/ security, upgrade, acquire, repair, construct classrooms/ labs/ sites/ facilities/ equipment, shall Southwestern Community College District issue $400 million in bonds at legal rates, no money for administrators’ salaries/ pensions, independent audits, citizen oversight, all funds used locally? Chula Vista Elementary School Board seats number 2 & 4 are up for election. The race for Seat 2 includes 5 candidates: Hans D’Oleire, Armando Farias, Willard “Doc” Howard, Michael Deangelo Jackson, and Rosa Maria Robles. Seat 4 includes 2 candidates: Glendora Tremper and Laurie Humphrey. City of Chula Vista City Council seats number 3 & 4 are up for election. Steve Padilla (D) and Jason Paguio (R) are running for Seat No. 3. Rudy Ramirez (D) and Mike Diaz (R) are running for Seat No. 4. Measure HH: National School District — To repair and rebuild aging classrooms and facilities throughout the District; meet handicapped access requirements; increase student access to computers /technology; repair roofs; and improve campus security and student loading zones for increased safety; shall National School District be authorized to issue $30 million of bonds with interest rates below legal limits, annual audits, independent citizens’ oversight, no money for administrative salaries and all funds spent locally and not taken by the State and used elsewhere? The National City School Board will also hold elections and you’ll be able to vote for 2 of 3 candidates: Barbara Avalos, Sheryl Celladora and Brian Clapper. Plus, the City Clerk & Treasurer are up for re-election alongside two City Council Seats. Six people are running for the National City Council: Jerry Cano, David Garcia, Candy Morales, Luis Natividad, Jose Rodriguez, Alejandra Sotelo-Solis. Six people are running for two open City Council Seats in Imperial Beach: Julie Behrens, Moises Camacho, Michelle Sanchez-Huffman, Tim O’Neal, Robert Patton, and Mark West. The biggest news here is that Hector Romero is running for a Sweetwater Union High School District seat. You might remember him as the contractor along with his company HAR Construction who sued the District in September 2011, claiming he was the victim of extortion by school board members. Romero reached a $7.35 million settlement with the District. You can read about it here and here. Over the coming weeks, San Diego Free Press will be bringing information on all these candidates. If you’d like specific information for the South Bay during this time, Subscribe here. Also, are you registered to vote? You can check here. « Will Gov. Brown Do the Right Thing for Farmworkers? Even more dummy you (and me), Anniej, a large aquatics center is already underway being constructed next to that mighty football stadium. Then, a few months back, I received a phone call asking me to take a survey concerning the Southwestern Community College bond. The man on the phone told me classrooms were old and in need of basic supplies for students, and with this information, would I consider voting for the bond? Hi Anniej, it appears we’re like-minded in our perspective that voting to RAISE PROPERTY TAXES on us in the South Bay to support another $400 MILLION bond for Southwestern College doesn’t resonate with us at this time. I hope you’ll read my post below and will spread the word to all South Bay voters you know to vote NO on Proposition Z. Thanks very much! Dear Anniej and Barbara: I couldn’t agree with you more!! The “bait and switch” tactics of the Southwestern College District from the past TWO bonds (Prop AA and Prop R) that WE TAXPAYERS funded are all too real. You two are having the sorts of discussions in which ALL OF US SOUTH BAY TAXPAYERS should be engaged. The lack of oversight and broken promises on the part of Southwestern is obscene. As one of many possible examples, for both Prop AA and Prop R, there were pledges to build a new planetarium. That never happened. It didn’t even get a facelift and sits in the same condition as it did 20 years ago. Of course now the planetarium is among the list of projects for which Prop Z (this new bond measure in 2016) funds are requested. What compelling evidence is there to believe Southwestern will actually follow through this time? What was done with the funds that were earmarked for a planetarium from the past two bonds, the price tags for which WE are paying?? Of course the community LOVES to support education, which is commendable, important and something that I also support. However, as you two have already noted, the basic core needs for EDUCATION have been sacrificed for other non-essential investments. Southwestern has been embroiled in SCANDALS, CONVICTIONS and PLEA BARGAINS related to past bonds, and that was in VERY recent history. Shouldn’t the public allow Southwestern to demonstrate competence and rebuild trust with the community BEFORE committing another $400 MILLION of OUR INCREASED PROPERTY TAXES?? Those scandals, in part, were related to Southwestern Trustees getting involved in “pay for play” issues with contractors and other unscrupulous matters handling TAXPAYER funds. In 2016, it appears there could be some other inappropriate activity already in progress. A newly formed political committee called “South Bay Families for Affordable College – Yes on Z” has TWO SOUTHWESTERN TRUSTEES (Humberto Peraza and Nora Vargas) as the Principal Officers. They’ve already taken $15,000 in contributions from the SW Regional Carpenters Union. Once again, can you say “Hmmmmmmmm”??!! I say VOTE NO ON PROPOSITION Z!! !